June 19, 2017 – This week, our time machine joins up with legendary explorers Lewis and Clark, and traces the clash of cultures between the Europeans and Native American Nez Perce tribe through William Clark’s son, Daytime Smoke. 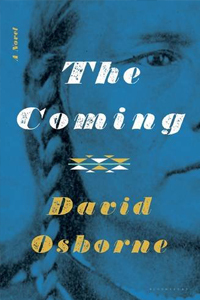 Our guide on this journey is David Osborne, who shares his ambitious debut novel, The Coming . David has five nonfiction books to his credit, and you’ve seen his work in the Atlantic, New York Times Magazine, Harper’s, and many other places popular opinion writing is found. He is also a senior fellow at the Progressive Policy Institute, directing the Reinventing America’s Schools Project. Find him on Twitter at Osborne David.